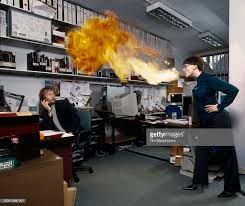 This post is for all you jerky lovers whose SWMBO insists that jerky polluted utensil cleaning is NOT a woman’s job… and the man hates the post mortem dehydrator ablutions. Hey, if you were expecting a free meal, well TT, it’s all for me… but I may be of assistance in the ensuing aftermath. Next to cheap vino, my next love is jerky. 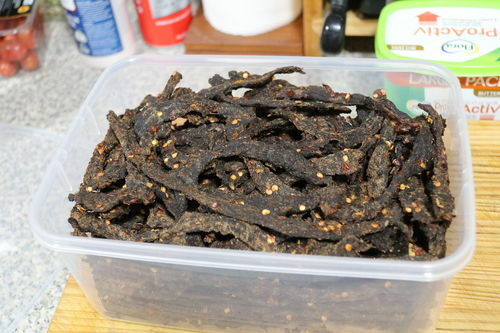 A particularly favourite hot jerky, at nearly $200/kilo ($4.55 for 25g), I find just a tad extravagant and as I like bum-burning-hot, the bought ones are only worthy of stirring my hot chocolate or milk shake with or alternatively use as a spoon for my ice cream. Be advised there’s more jerky recipes on the net than hairs on my head and I’m not going bald… I use a dehydrator and there are a few hairy ones of those on the net… though those ones are more like those on the palm of my hand rather than on my head. of sufficient heat that I could comfortable sit on a block of ice for hours after eating a few slivers. 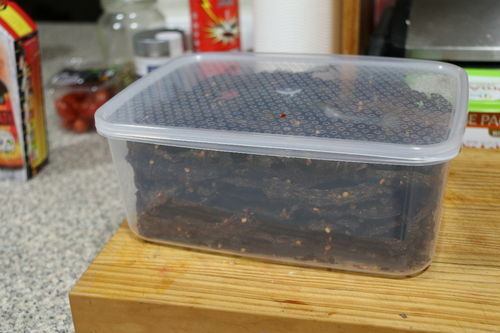 I have found that the issue with concocting a batch of jerky, is trying to remove the baked on marinade once the tasty morsels have been packaged and the dehydrator needs to be returned to a serviceable state… uugghh! !… lotsa soakin’ ‘n scrubbin’. Hell, I’m not stupid… I placed one of the trays on the ground and blasted the bejesus out of it with the pressure washer… and got my monthly exercise chasing the bugger down the street from the force of the washer. It definitely needs to stay put! This latter circle was a tad non-perfect, however, it served it’s purpose and both circles being out of merbau, were considered not too water shy. 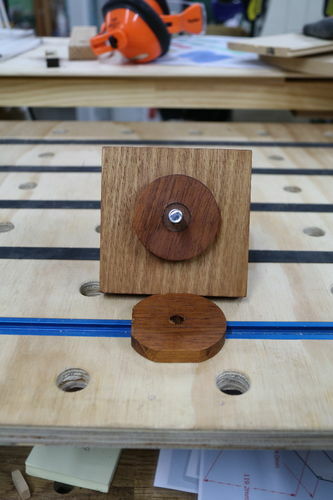 Both circles were sanded “round” on the disc sander using the same jig (small circle cutter). 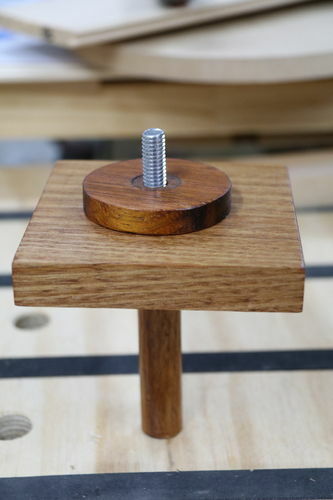 The central part (handle) consisted of a ¾” hardwood dowel with a 3/8” thread tapped into one end. After cutting the head off a 3/8” bolt, the rod was screwed into the tapped hole and serves as a hold down knob anchor. Gave the jig a coat of tung oil and 3 layers of wipe-on-poly… don’t ask me why I polye’d it as I expected the pressure washer to give it a thorough thrashing and wash the poly off. Captivated in my super jaws (Triton, not teeth) I can now hose away with great force without having to prepare a set of roller blades in the event of apprehending the escapee(s). 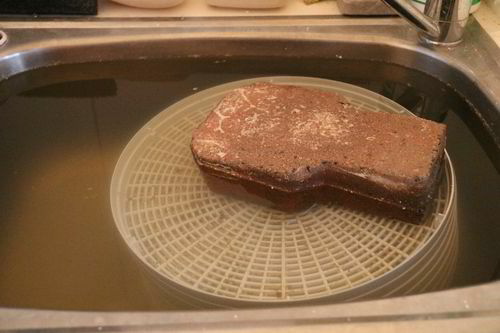 I probably could have wiped the trays down with a damp paper towel… DOH! PPS. I went cold turkey and didn’t use SketchUp (oh withdrawals)… so may I suggest you don’t go looking for the .SKP model. reminds me of a Johnny Cash song! ?... You’ve been gone awhile… I can no longer read your mind! The Ring of Fire! ha ha !! K… now I get the JC… wok? welcome back rob glad your here, dealing with the duck alone has been rough! i gotta say duckie just looking at that jerky is makin my bung burn.maybe you can play that song while on the thorn after a big jerky feast-lol. Actually pottzy, while my batches are hotter than the commercial bought ones, I get surprised at the range of people that try my jerky and keep coming back for more… even those that claim they don’t go for hot stuff… we must be breeding a new generation of masochists with the oldies evolving as well. While the sauce is HOT… I treat it with respect and only use a controlled good dash and not pour freely. But the clincher is that there’s nothing better than soothing the heat by a bloody nice cold beer and a lot of BS around the barbie… and coming from a vino drinker that’s one helluva revelation. Alright I’ve dabbled a bit myself, not for a while though. 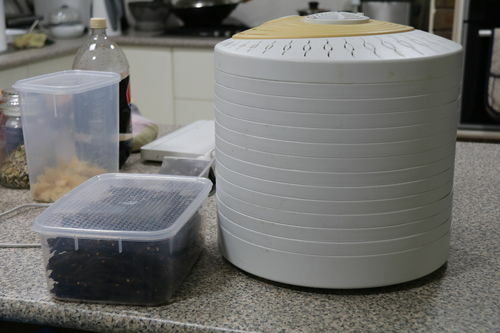 May have to break out the dehydrator again now. You got more thorough recipe or is this top secret? Looks like bug spray in the back..? I am on his mailing list, already and have received a sample batch, powerfully stuff I tell you! I even gave Aurora a piece to taste, she did what I would describe as a horizontal back flip off the lounge equal to or better to challenge any of Jackie Chan’s moves!! Snipes, this is the checklist I use to make mine. I wrote it on a whiteboard as I was mixing it to ensure I remebered it. Initially I went through the pantry and postulated what might be acceptable in the mix. Since then I basically follow it, however, if it’s not available I wont break into our Woolworth’s/Coles for that one ingredient. 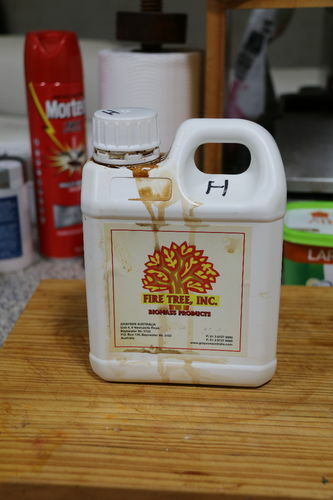 You should be OK with the liquid smoke as I had to import it from the States. PS. The chilli flakes are hot (at least the hottest I could buy locally). Obviously rc, you didn’t read the instruction laser engraved on each piece… it strictly says “Start at the milder end and work you way up to the heated end!”.... next time I’ll tie a strawberry to the mild end and a Habanero to the other. Rc- not sure who Aurora is. 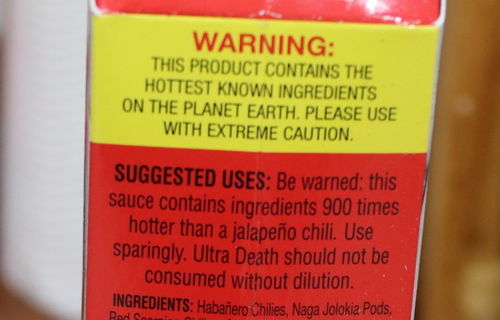 But backflip hot is Def hot..
Lbd- thanks, I have my own Thai chili flakes that come from my garden I may try. I even gave Aurora a piece to taste, she did what I would describe as a horizontal back flip off the lounge equal to or better to challenge any of Jackie Chan s moves!! brave girl my wife would never go near it and if see did it would be one backflip and end of story-lol. Actually pottzy, while my batches are hotter than the commercial bought ones, I get surprised at the range of people that try my jerky and keep coming back for more… even those that claim they don t go for hot stuff… we must be breeding a new generation of masochists with the oldies evolving as well. But the clincher is that there s nothing better than soothing the heat by a bloody nice cold beer and a lot of BS around the barbie… and coming from a vino drinker that s one helluva revelation. actually duckie your recipe sounds pretty tasty,i have a dehydrator and may have to make up a batch. 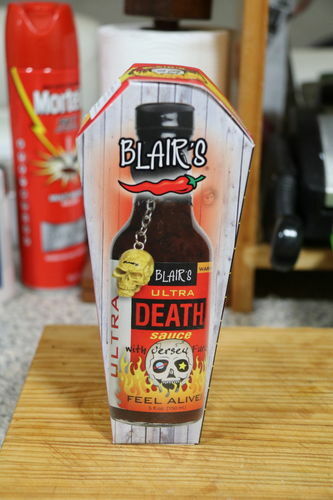 Sorry Snipes, forgot to explain… the bug spray is to dilute the Ultra Death sauce….